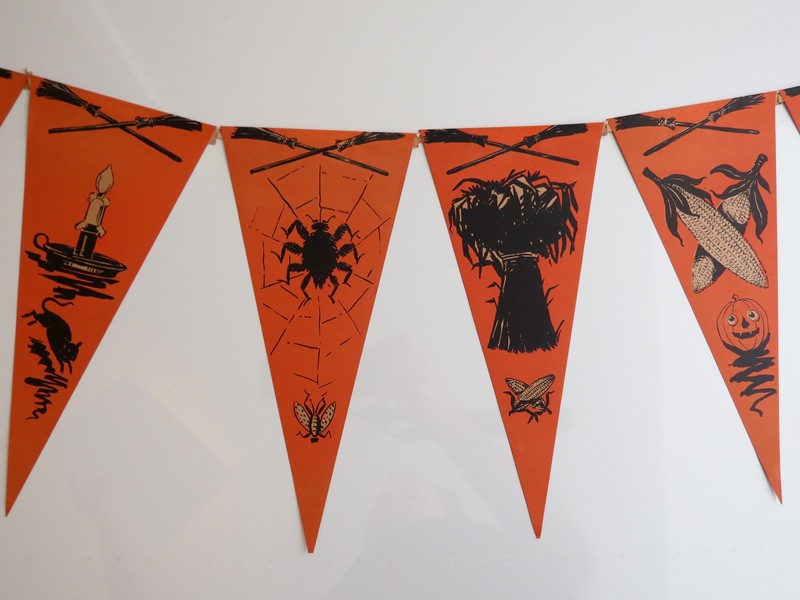 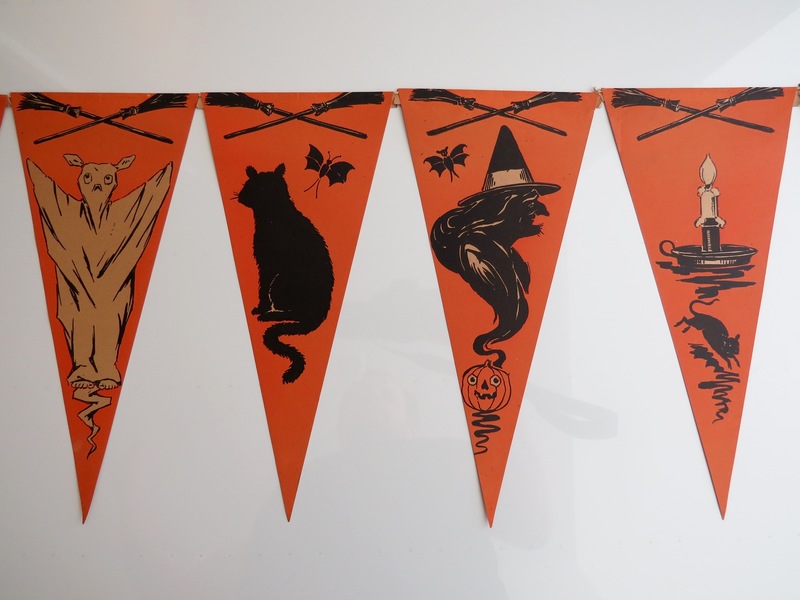 Hallowe’en Pennant Banner, USA, Beistle, (no mark), 1918-1920, non-embossed. 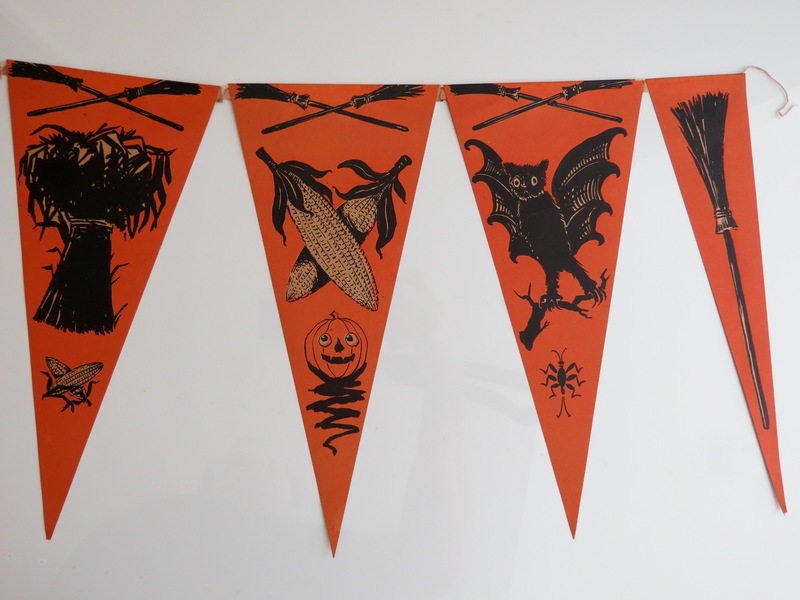 This banner incorporates eleven pennants, 11.5″ h x 5” w, having differing iconic Beistle imagery, flanked by two broomstick pennants measuring 11.5” h x 2.5” w. Thirteen pennants comprise a complete banner. 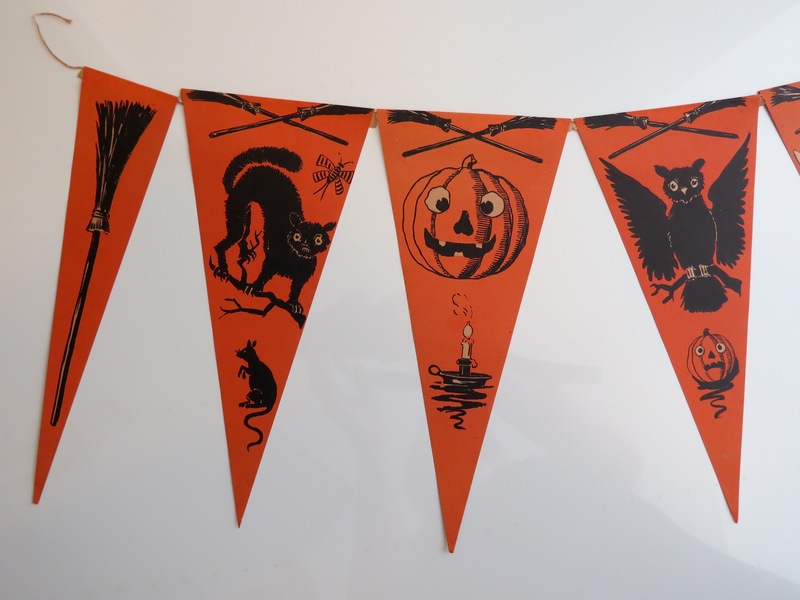 This example represents the apex of condition.